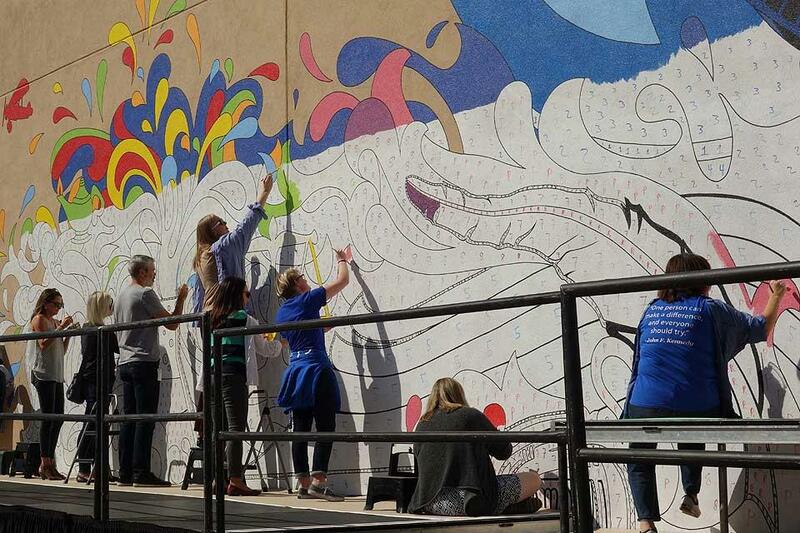 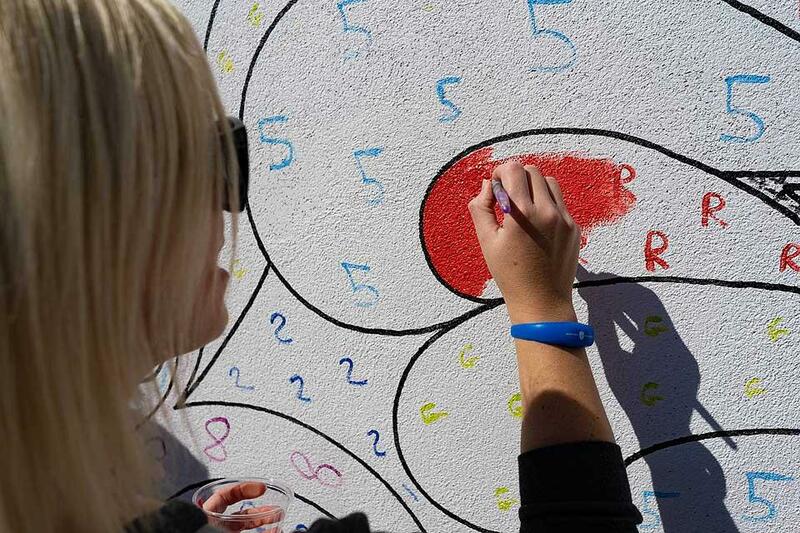 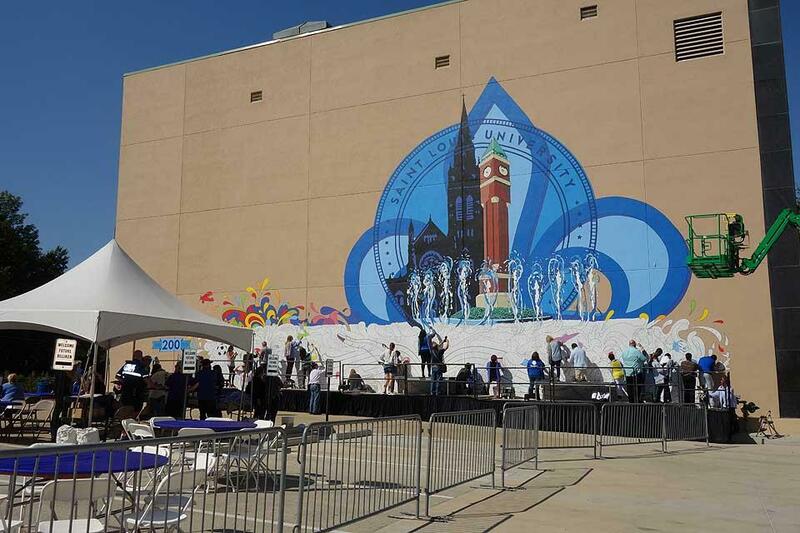 Members of the SLU community on Friday got the first opportunity to help complete a large paint-by-number mural covering nearly 3,000 square feet outside of McGannon Hall. 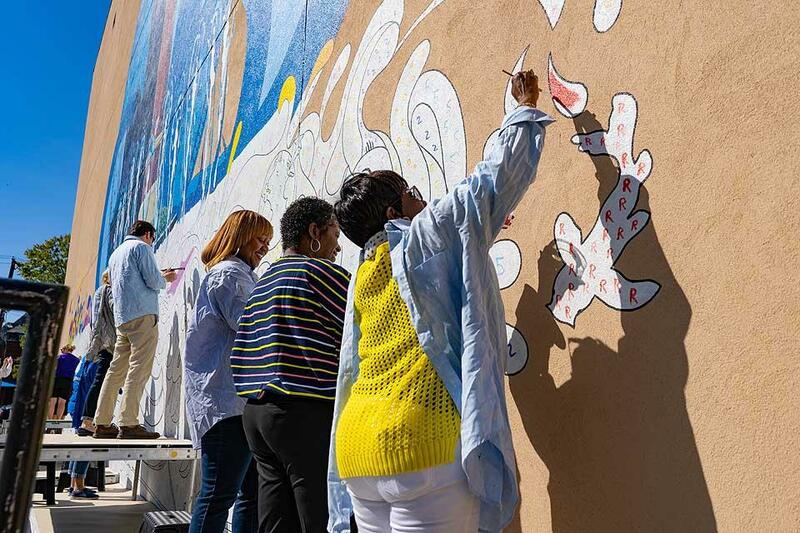 To help commemorate SLU’s bicentennial anniversary, Studio Art majors worked with renowned St. Louis-based muralist Grace McCammond to design the largest public art project in the University’s history. 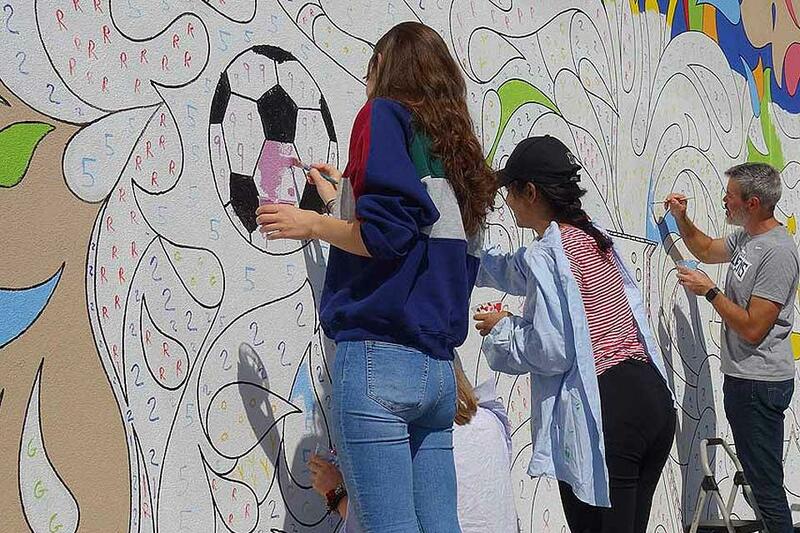 Starting last spring, students Haili Piel, Kaitlin Raftery, Emily Zoernig, Bridget Smith, Valencia Miller, Abigail Schlegl, Jieming Xiao, Madeline Youngman and Nursing major Triana Gorman, along with Studio Art program director Amy Bautz of the Department of Fine and Performing Arts, collaborated with McCammond to create an iconic, visual representation of study at SLU.